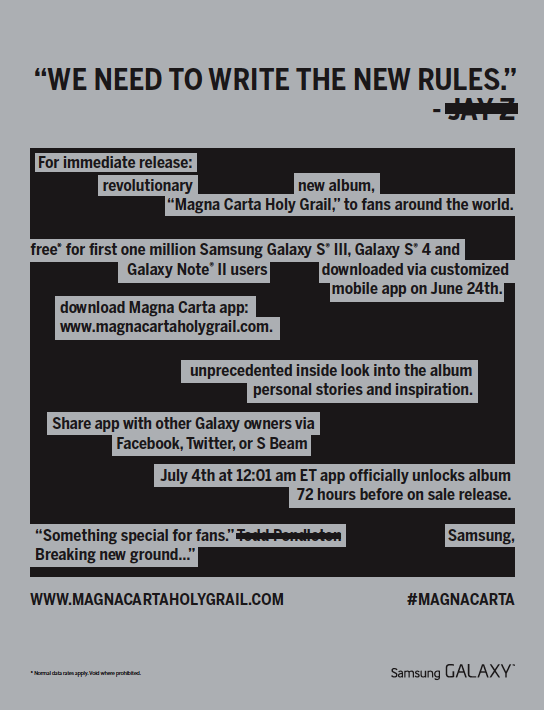 What does it mean that major albums are co launched by a mobile company for an artist? 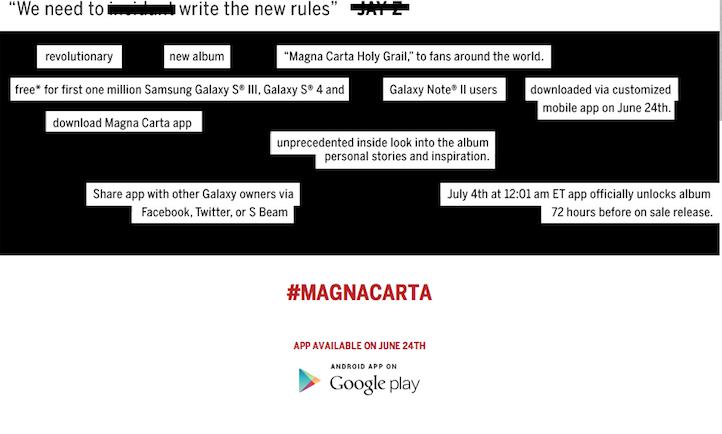 Jay Z teased the release of his Magna Carta album today signifying a milestone in artist marketing. 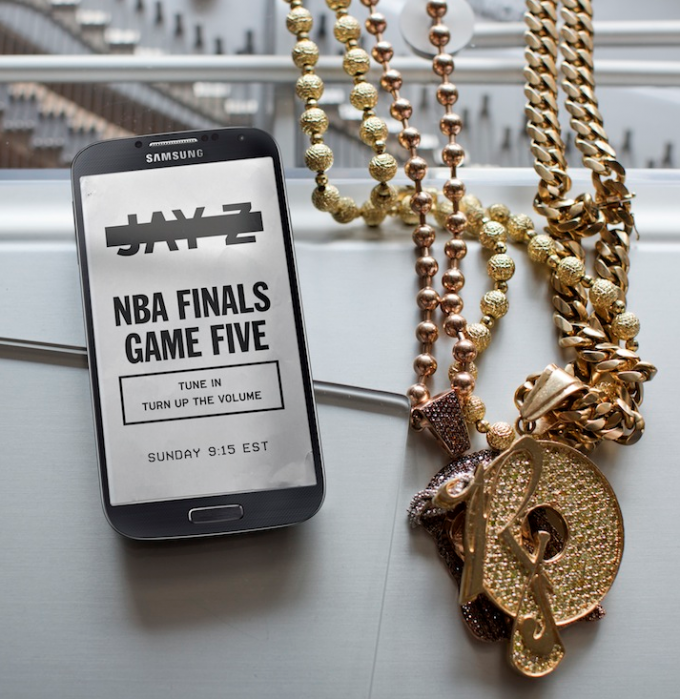 The video above showcases tracks, producers, and story, but its presented by Samsung Galaxy. More and more we are seeing corporate endorsements of the changemakers and creatives of our times, and I personally am intrigued on how this awareness and shift in paid media dollars will effect content creation. What does it mean when a new album from the heart is cosponsored by a secondary brand ? This is commonplace in sports, and social entrepreneurship, but music has usually only maintained this relationship after the fact. Ex. Tailor Swift and Pepsi. However, to co associate your personal brand with a tech brand seems like a new frontier in a pre launch environment. Do you think any other artists will follow this trend? Or for a brand like Samsung, maybe this is the best time in the “hype cycle” to endorse a product / person to get the maximum brand transference to impact their bottom line. What do you think? ps. The other interesting note is that he teased the announcement using imagery via social media. More and more, Artists and personal programming channels are being used to interact with fans wtih RTM ( real time marketing ) rather then relying on older PR channels and wire services. In the last several years there has been a trend where personal media outlets ( blogs, twitter feeds, youtube channels ) are starting to outperform traditional media outlets and websites. The web has become alive, and with equal access to cheap content generating tools, content and personal flare have helped certain indy channels thrive. The next trend I am observing is that these same personal programming channels are expanding into e-commerce / e-retailing. 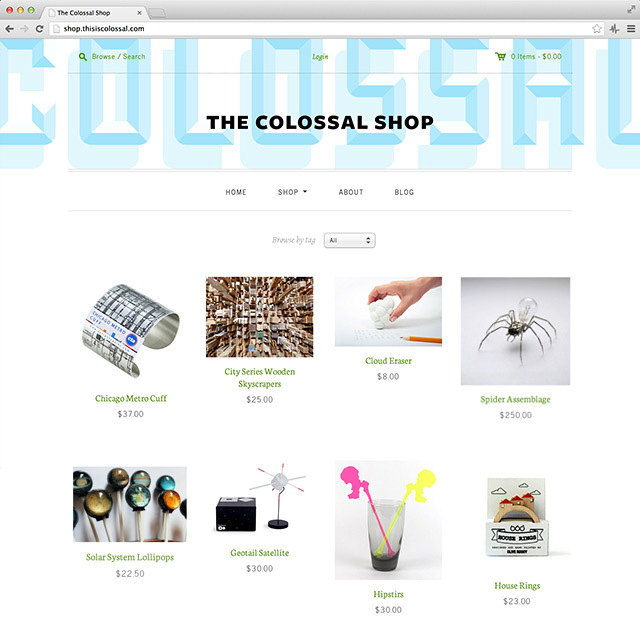 I frequently visit http://www.thisiscolossal.com for their careful curation of art / creative news, and I was surprised to see they opened up a store. Although this seemed odd at first, its a logical progression for content curators. Why stop at curating and reviewing content if you can give people the option to buy those same items and take a cut. I have observed many influential bloggers sponsor bundles on fab, or quarterly, and even have their own branded channel on opensky. And thus we enter the Rise of Personal Storefronts where everyone becomes a prosumer. All the traditional factors of customer loyalty, the right prices, and great product selection exist, but the only main differentiators become trust and human connection. Also certain things I would rather buy from certain organizations. I do trust a handful of bloggers with my daily news, but I am not sure I would want to buy vitamins from them. What is the future of stores on Facebook ? Or instant deals on Twitter? But I am very optimistic on how this new trend will push innovation and inspire new models of creating content accompanied by related items that I might like. However, I am also aware that this might create a awareness bias of outlets where the pressure to sell vs. write news articles could shift the culture and identity of the outlets I came to trust. And then there might be certain companies like Pinterest who if slightly altered their business model, could be one of the largest curated stores on the planet. I would imagine the personal endorsement of products with a trusted layer of delivery and procurement could be the future of how we buy things online. 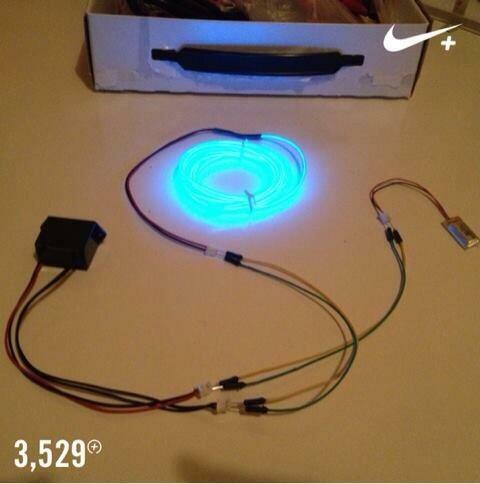 The Nike Fuelband app just added the functionality to share your goal progress with a picture. This simple change in user experience was a brillant marketing decision. Although I am not sure I always want to hear about my friends working out every day, this helps hearing about nike plus in two ways. 1. With a picture, I get to tell my workout story or active day in a more visual way that I choose and am accustomed to on Facebook. We all know that images get more shares and likes then text alone, so this makes sense in how the app would evolve. I would imagine that this gives my friends a better picture of what I am doing, but also is more entertaining to see and watch then just a sentence about a workout routine I may not care about. The ability to add a picture makes this experience about the story and the person rather then just the number. And in a way, it might add more Nike+ stamps onto other lifestyle activities. What if every picture you took during the day had a fuelband stamp rather then just when you hit your goal? Its a great opportunity for nike to move more into the storytelling space. 2. This will also help serve as an earned media database for images for Nike+. Now all the nike plus stories are sharable. They can find a home on Instagram, Facebook, and Pinterest. Images are more likely to tell the nike plus story and be told and received in a new way. Ultimately breathing new life into the nike plus ecosystem, and raise awareness of the digital brand. 1. Video. Video clips would be natural extensions of this UX. And sometimes a video can really show a better story then a snapshot alone. Vine integration would be awesome. hint hint. 2. Networked apps: Lets say I was skateboarding with my buddies. What I would really want to do is to take a photo of someone else doing a trick and tagging their fuel moment to that picture. As much as we love taking photos of ourselves in this narcissistic era, sometimes you just cant while you are active. But your buddy can. Not sure how this could work, but it could be really great for content production. Perhaps the best way to implement this would be to have an API that would allow for the nike fuel points and timecodes to be exported to other medias. Everyone is an athlete. Now we just have more ways to tell the story. Share on. “The Pepsi Like machine” in addition to being buzzworthy makes really good business sense. Lets look at this from a math perspective. According to 2 different sources ( link 1 Link 2 ) the cost of a “fan” is over a dollar. One says 1-7 dollars, another says way over 100, but lets skip over all the different methodologies and say its over a buck – this way we get to agree on the main insight rather then the details of why the research is wrong. So, what is the cost of a soda ? Maybe 75 cents, or 1.25 ? The beauty of the coke like machine is that people are opting into a loyalty program for a free sample. The cost of giving away that soda is equal or less then the amount of dollars they would have spent to gain that fan. Additionally, the documentation of this stunt by pepsi translated into earned media dollars ( via viral video and blog editorials ) which is bound to give pepsi an edge in awareness and brand equity – that is… free advertising. This was a great execution of digital marketing moving its way into physical computing that makes sense. They are also very lucky that they are some of the first ( not the first ) to ask people to trade their social capital for real assets. Because if everyone starts to ask fans to like their product for a free, people will start to value their privacy more then the transaction that occurs. A reverse tipping point comes into play between free stuff and privacy. The other interesting thing here to note is that documentation has make this appear to be a huge campaign when this really just occured at once concert. Lets say it only had a reach of 100 ( I have no data to back this up). The video of this campaign itself far exceeded the actual number of people that got free product. This is where many guerilla marketing campaigns have gone where they set up a special campaign to reach only a few ( 007 promotion comes to mind (coke )) and most of the effort is spent on sharing this story throughout social networks in place of paid media. It really shows an interesting trend in how marketing dollars are moving from paid medias to earned and owned networks. Nest was cool, but August is awesome. As we talk about the internet of things, I think about how this is a perfect execution of having something be “smart” but actually be useful as well – not just appealing to the geeks. The beauty of August is that is plays on constructs that we already use in the digital realm ( permissions ) but makes them analog. In a way that has never been done before. And really, the key itself is an outdated concept. We have replaced it everywhere possible. This makes me think about homes and spaces in terms of those same digital terms – people crave contextual access. Although the launch focused on homes, I think where this could really shine is with brands, guerilla marketing, and nightclubs. 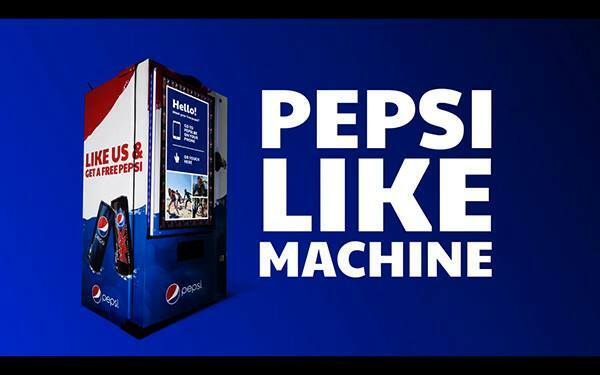 Pepsi came out with the like machine yesterday, which was impressive, but August is that on another scale. Imagine a brand telling you that you have an exclusive pass to the movies, or a VIP party, or a car. And these may not be the best examples, but what we really again are talking about here is access. 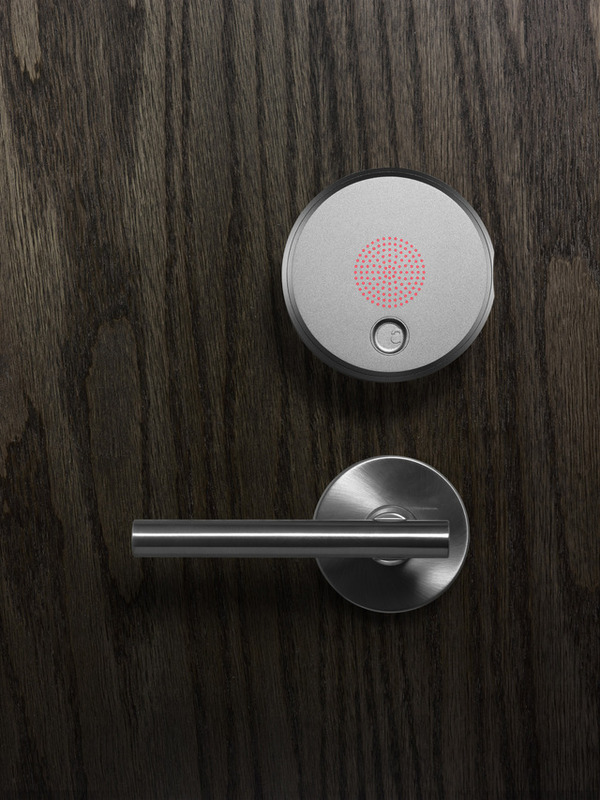 What could you unlock that could provide a meaningful experience. And if we expand this handshake protocol to other types of mechanical actions, perhaps a lightswitch, or a valve, or a secret elevator floor, imagine what could be unlocked. What experiences we could create. In a world where digital and IRL are blurring, access to a new place could change your whole perspective. In a world that craves exclusivity and scarcity – what power does a lock and key hold ? I think their are opportunities to move past surprise and delight here. I hope that other people are thinking this way as well. 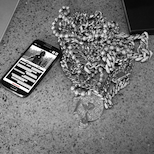 Past the physical to think symbolically about how this marries experiences, mobile, digital, and access.